Dennis S. Charney owns patents in dopamine and noradrenergic reuptake inhibitors in treatment of schizophrenia and in intranasal administration of ketamine to treat depression. He is a Professor of Psychiatry, Professor of Neuroscience and Professor of Pharmacology and Systems Therapeutics at Mount Sinai School of Medicine in New York City, and currently Dean of the school. Charney became the Dean of Research at Mount Sinai School of Medicine in 2004, later becoming the Dean for Academic and Scientific Affairs, finally succeeding Kenneth L. Davis as Dean of the school in 2007. He is the author of The Physician's Guide to Depression and Bipolar Disorders and Molecular Biology for the Clinician, as well as the author of over 500 original papers and chapters. 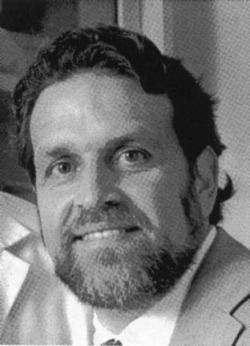 Charney graduated from medical school at Penn State in 1977 and completed his residency in Psychiatry at Yale School of Medicine. A fellowship in Biological Psychiatry was completed at the Connecticut Medical Health Center. He has been named among the top 3 most highly cited authors of psychiatric research in the decade ending in 2000 by the Institute of Scientific Information, and listed in every edition of the “Best Doctors in America” since 1992. He was elected to the Institute of Medicine in 2000.